Much is written on the merits of eating locally and seasonally. I’m a fan and advocate, and adopting this practice in Provence is easy and immensely pleasurable. The benefits of adapting to seasonal changes extend well beyond an evolving dinner plate, however. Acknowledging that we’re in the month of October, not May, and cooking and eating accordingly encourages us to consider nature and our environment; it inspires respect and empathy for the earth’s bounty and limits. In the age of hyper connectivity and globalized availability – Blueberries in December? No problem! – we lose this appreciation and are the worse for it. My adult life has been largely enjoyed in San Francisco, where there are just 2 seasons really in the city proper: chilly, foggy season A (winters and summers) and glorious, less foggy season B (springs and falls). To be fair to the larger Bay Area, 15 minutes outside the city in any direction and the climate dynamics are wildly different. Getting back to a full climate cycle was one of the many attractions I anticipated when moving to Provence. The changing seasons define life here beyond just weather, but also in ways edible, social, visual, and cultural. Provence is colored by brilliant summer yellows, somber winter greys, by fresh spring greens and fading autumn browns in all shades from blossom to decay. It is a cycle that keeps things in flow and evolving, changing in predictable patterns that echo previous seasons but never truly repeat. 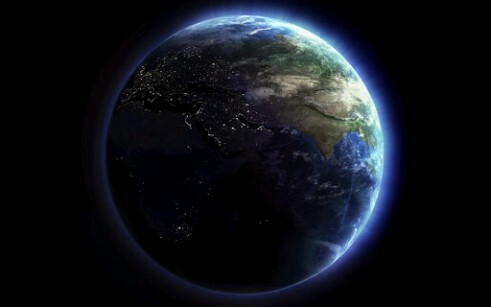 This cycle also ties us to our surrounds in ways more natural and organic, less artificial and technologic. And this is a very healthy thing: enriching, humbling, authenticating. Placed between the Alps and Mediterranean, Provence swings from bone chilling Januaries to sweltering Julys. This change stimulates a vast range of local fruits and vegetables, flowers and herbs, wines and oils and nuts. 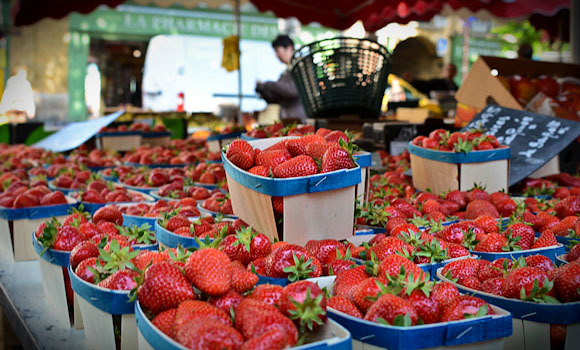 Local Gariguette strawberries and Charantais melons fill the market stalls with shades of orange and red – and pesky honeybees – through the warm summer days. 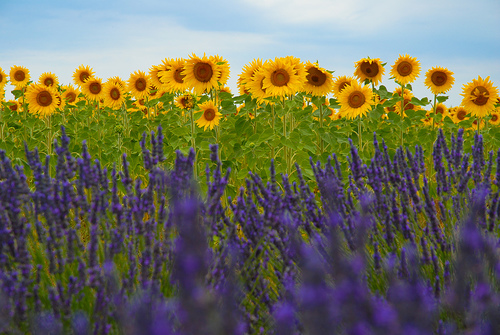 The fields are ablaze with sunflowers and lavender. The aromas are inviting, seductive. During the darker months gourdes of every odd shape and size, and middle earth root vegetables like turnips and rutabagas inspire child-terrorizing recipes. Cool salad plates yield to steaming soup bowls. Sweet red and black raspberries give way to cepe mushrooms and the savage black truffle: formidable king of all French fungi. Other selections on the Provence menu are seasonal as well. The café scene is vibrant year around, but the outdoor terrace reigns supreme for coffee and drinks in summer. Without outdoor seating your restaurant business is somewhere between anemic to 100 percent dead. Socializing with a cool glass of rosé or pastis in the early evenings under a warm Mediterranean sun is pure bliss. 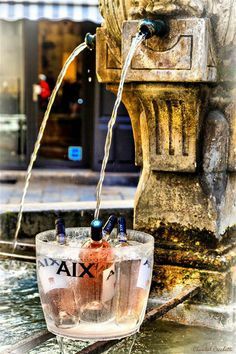 A light dinner of shared charcuterie, cheese and bread is plenty when the weather is still balmy at 10 p.m. And with the elegant baroque setting of Aix and beautiful pageantry on display why stay home, and when out why be inside? The out/in seating bias evolves gradually to a complete 180° flip by year end, with those same terraces now the exclusive domain of a few weather-defiant smokers, bundled up for a shivering fix in heavy winter coats while the rest of us crowd into cozy, packed interiors, warmed by wood fired ovens, calming aperitifs, and simmering plates of delicious this or that. Summer nibbles and pale rosés give way to hearty menus and full-bodied reds. The winter din is unique to the season, the chatter amplified by the tight enclosed quarters, the espresso machines hissing, the waiters barking, the clatter of coffee cups and wine glasses and silverware being served or collected. As the daylight hours dwindle and temperatures drop we start to entertain more at home and indoors. I struggle to find my Escoffier toque when the thought of sweating before a hot stove top in midsummer is the reward. By October there is no place I’d rather be. The changes in local produce at the outdoor markets give us a chance to mix up the dinner menu, the entrees, the wine selection and cocktail starters. What an opportunity to find harmony with the sun, moon, rain, wind, and dirt; with the terroir as they say in France. Respect for and adaption to our climate cycles is a sign of humility, a deference that is critical in this period of extreme climate events that reveals a nature mother aggravated by our false sense of control and hubris. We can choose to insulate ourselves from the natural world or embrace its messy chaos and diversity. We’re brimming with modern technologies that enable sterile, inert lives largely impervious to the seasons. Increasingly we encapsulate ourselves in the great digital bubble, plugged in to an endless and fascinating online universe that gives no hints of the natural world, the real world. And that’s our collective loss. Our climate has become unhinged thanks to a global appetite for better lives, bigger homes, a car or 2 in the garage, and more stuff – in essence the “good life” – with ignorance (initially) and disregard (ultimately) for the ugly environmental impact of this pursuit. Isolating ourselves from the natural elements only widens the disconnect and exacerbates the problem. What’s on your menu tonight?